Registration for children 6 and under is $20 and includes a participant cape. Families and siblings over 6 years of age are welcome to participate but will not receive a participant cape or race packet. Register early! Last year’s event sold out! 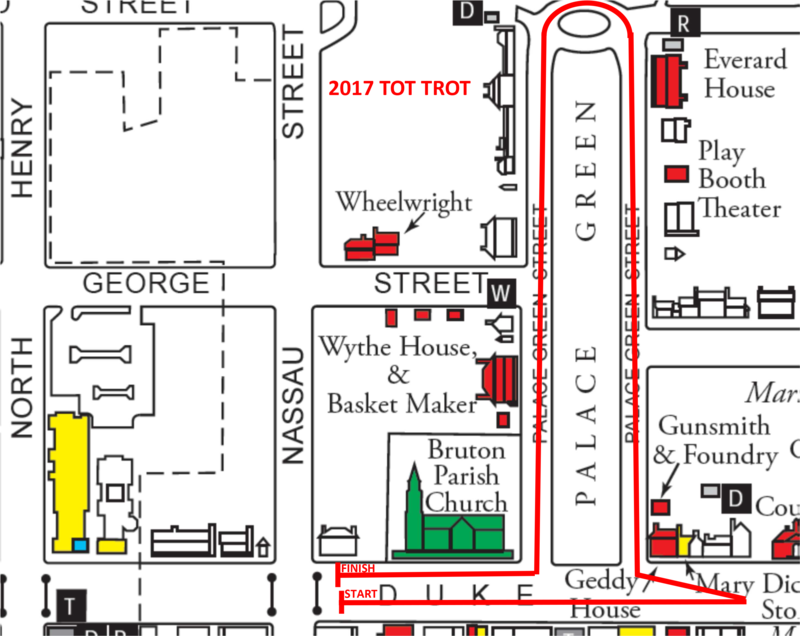 2019-5-4 2019-5-4 America/New_York Tot Trot 1K Colonial Williamsburg Duke of Gloucester St at the corner of Nassau St.